Boeing will use a Delta 2 7920-10 to launch the the Jason 1 and TIMED satellites for NASA. The Boeing family of launch vehicles is derived from the Delta family of rockets built and launched since 1960. In that time 288 Deltas have been launched. Today, Boeing has a growing list of commercial customers, including Hughes Space and Communications International, Inc., Space Systems/Loral, and Motorola. 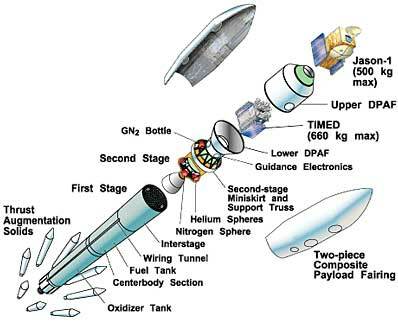 Delta rocket were used to launch 28 satellites to form the cornerstone of the Globastar system.